When it comes to finding qualified leads — particularly at a time when 90 percent of professionals are open to new opportunities — recruiters need tools that allow them to be more targeted and efficient. Meanwhile, to attract qualified candidates and keep an ongoing clientele of companies who need their roles filled, staffing firms have to nimbly navigate their online presence for two very different audiences. Today, LinkedIn Talent Solutions announced the launch of two new products, Pipeline Builder and Career Pages for Staffing, that will address the needs of these hiring challenges and help bring job seekers and employers closer together. Pipeline Builder gives recruiters the opportunity to target and maintain a high volume of prospects for specific roles. Using ads to reach the right talent, a personalized landing page to attract prospects and a simple “I’m Interested” button for a low path to entry, Pipeline Builder allows companies to pay extra special attention to more talent at a time, improving the path to hire and resulting in better hiring results. Specifically designed for LinkedIn's search and staffing clients, this version of LinkedIn Career Pages for Staffing provides a customised view - one for clients and one for talent - tailored for the two vastly different audiences that staffing firms need to reach. The Find Jobs view for prospective candidates and the Hire Talent view for company leads each include relevant testimonials, specific call-to-actions and a “Contact Us” module for simple outreach. Commute Time: LinkedIn research reveals that 75 percent of candidates say commute time is a top consideration. Now when a member views a job on LinkedIn, they can immediately see what their commute time would be if they were to join the company. For recruiters, this promotes transparency and ensures candidates know what to expect, before they apply for the role. Recruiter System Connect: allows you to integrate LinkedIn Recruiter with more than 10 Applicant Tracking System (ATS) to streamline your hiring process. Data from the Recruiter tool will automatically sync for simple profile exports and provide consistent and up-to-date candidate information like applicant history and interview feedback. Enhanced Search: New search algorithm considers an applicant's entire profile to better identify the skills they possess, not just the ones listed in their skills section. 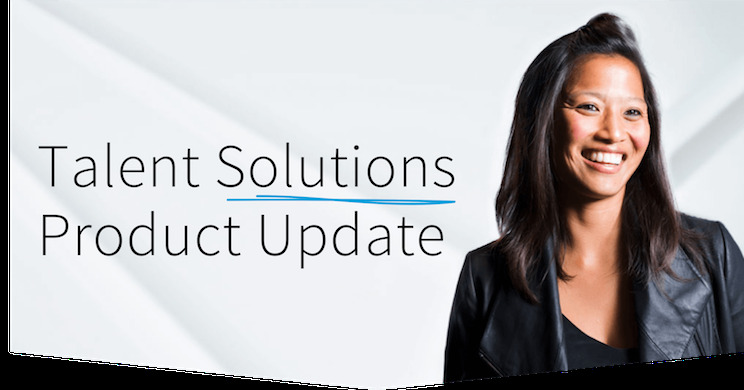 To learn more about these and other product updates we are releasing this month, visit our Product Updates hub. Contact press@linkedin.com for more information.